Mark your calendars for SATURDAY, OCTOBER 3rd. Join us for the 2nd Annual Gil's Hills Open House & Chicken BBQ. Come check us out from 11 AM to 3 PM. Dine In or Take Out. Call Gil's Hills for a ticket. Greetings from all of us between the hills at Gil's Hills. This is one of those letters I hate to write but I know I must. As Gil Parker once said, "How will the people know if you don't tell them?" That's pure gospel with the message of salvation but he was referring to letting you, our faithful friends, know our needs. This year has really been a banner year. It took over two years to raise the necessary funds for the new cabin but, with just a few small details left, it will be finished. God put it on my heart to raise funds for a new outside wood boiler and in just six short weeks all the funds were raised, and by the way it is working wonderfully. We've been down to our bottom dollar before and right now we are in the black to the tune of $279.00 and we "owe no man" anything. It does get quite stressful sometimes but we know that God is in control and we understand that we are to walk by faith and not by sight. In light of those things I must share with you that for the past three months the income for the general budget has been very lean. In September alone, our expenses were $2,953.34 more than the income. In all seriousness, had I not agreed to the "bald for bucks" fundraiser, Gil's Hills would have gone deep into the red. 2. If it is possible, that you send an additional gift to help "our greatest need"
$10,500.00 for a new outside wood boiler. Goal met in July, 2014. Gil's Hills Ministries is raising funds to purchase an outside wood boiler with the new "gasification" upgrades. (The old stove is in need of repair again, and does not meet the New York state codes.) The new outside stoves are greener and cleaner and will burn up to 50% less wood, and expel 90% less smoke. We have shopped around quite a bit and have decided on a HeatMaster G-200, which will heat both the lodge and the recreation building with ease. 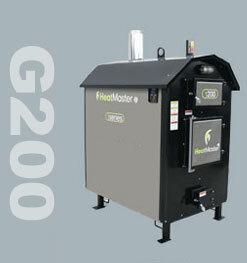 The HeatMaster G-200 will cost $10,500.00 (including installation), but should help us save over $800.00 a year. As of early June, we have raised over $7,000.00 toward the total cost. This is the greatest need we have at this time! To find out more about this fundraising project please get in touch with us via Facebook or the website Contact Us page. We have met our financial goal! The outside wood boiler has arrived, and is currently installed and ready to go for next winter! Thank you to all for making this happen. 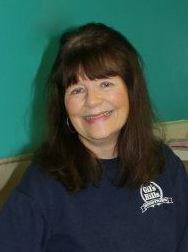 "An Evening With Gil's Hills, 2012"
Saturday, November 3 at 4:30 p.m.
Saturday, May 12 at 9:00 a.m. There's plenty of work to be done as we get ready for camp and next winter. Many of the supplies we need for our summer camps are donated by individuals, churches, and businesses in our area. Check back here again in the Spring, and we'll have our wish list posted.